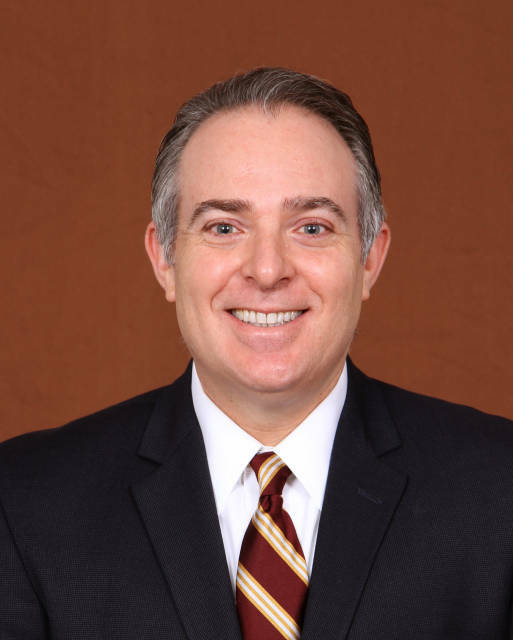 Elliott Finebloom returned to Florida State in December of 2010 as the Assistant Athletic Director/Sports Information Director. In June of 2013 he took over the Seminoles’ digital media department as well. Finebloom started in the media relations office at Florida State in January of 2000 working his way up from an intern to Assistant Athletic Director. During his tenure at Florida State he was responsible for media relations for women’s soccer, softball, baseball and football. Finebloom joined the Law Firm of Finebloom & Haenel in June of 2009 moving to Tampa to face a new challenge in his career and to work closely with founding partners David Haenel and his brother Darren Finebloom. A nationally decorated media relations professional, he put his years of experience to work for the Law Firm of Finebloom & Haenel. In his 18 months working with the Law Firm, Finebloom worked intimately on social media and digital media in furthering the business for the firm. In 1999 Finebloom’s career in Sports Information began while earning a master’s degree in Sport Administration at FSU. Elliott began with an internship in the Florida State Sports Information Office. That volunteer opportunity led to a Graduate Assistantship to an assistant SID position. In 2007 he was promoted once again to associate SID and given the job as head football SID. Previously he had worked as the primary contact for FSU’s nationally ranked women’s soccer, baseball and softball teams. While working with FSU soccer, Elliott was named the first-ever five-time National Women’s Soccer SID of the Year. He also produced multiple publications for the media that were ranked in the top three in the nation. During his time at Florida State, Finebloom excelled in working with the national media generating stories with numerous high profile media outlets including ESPN, USA Today, The NY Times, CNN, ABC and NBC. He handled media requests for Rhodes Scholar Myron Rolle while he played football including features on ESPN’s College GameDay and Anderson Cooper 360. Part of his role at Florida State was promoting athletes and coaches for national awards. In 2008 he was instrumental in the promotional campaign for Lou Groza Award winner Graham Gano. Gano’s national award added to an impressive list of national award winner’s Finebloom promoted during his Florida State career. The list includes players and coaches that have won three National Coach of the Year awards, four National Player of the Year Awards and a National Freshman of the Year honor. His experience in Tallahassee spanned many sports and all aspects of player and team promotion. As a member of Florida State’s media relations staff, Finebloom worked nine straight bowl games including the 2001 National Championship game and three other BCS bowl games. He worked in the press box at home football games since 2000 and was also a member of the ACC’s staff at the 2007 and 2008 football championships games. Finebloom received his undergraduate degree from the University of Texas at Austin and his Master’s from Florida State University.